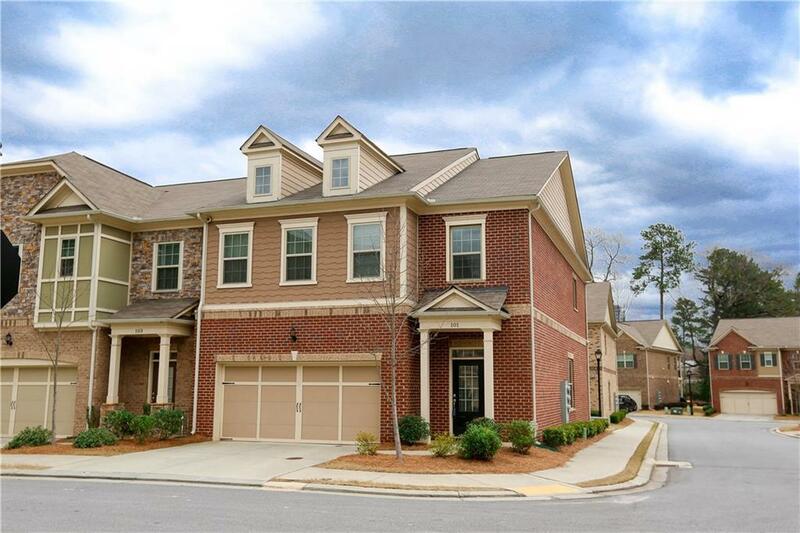 Luxurious 2-story Townhome with 3 bed/3.5 baths for Rent. Has a single family home feel, but without all the maintenance! Water/sewer and Lawn care included. Refrigerator, washer/dryer provided. Newer townhome in sought after location. Open floor plan with all hardwoods on main level. Spacious kitchen with granite countertops and stainless steel appliances. Huge master suite with big walk-in closet. Large secondary rooms. Gated community. End unit. Wifi available. CCTV monitors installed outside. Hurry!! Won't last long! Directions: Ga 400 Take Exit 4c For Hammond Dr. Turn Right Onto Hammond Dr. NE, Turn Left Onto Glenridge Dr NE. Community Will Be Approximately Half Mile On The Right.